Galvanic brooch, cased, of black vulcanite, with cherub holding fistfuls of lightning on one side and on the reverse, inset copper plate with eight electric bolts radiating from a central object (fist? lightbulb?). 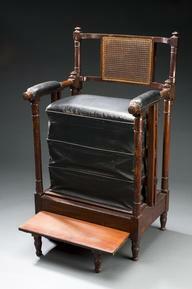 By Pall Mall Electric Association, English, 1890-1920. Two holes drilled all the way through, as if for mounting. Except for case, identical to A106003 and A124306, similar to A602795. 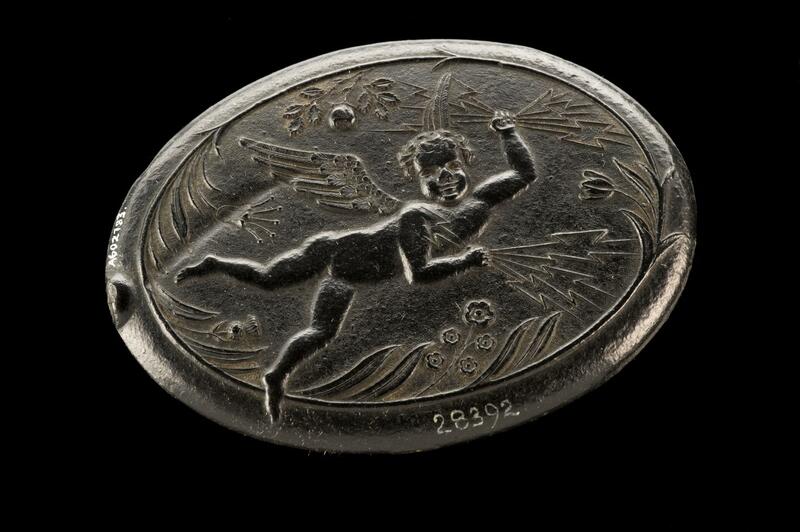 The brooch has a picture of flying cupid whose hands are emitting an electrical charge. The brooch was sold as a form of electrotherapeutic treatment. It claimed to rely upon galvanism, which is both a form of treatment using electricity and electricity developed by chemical action. ‘Galvanism’ was named after Luigi Galvani, who first observed the phenomenon. 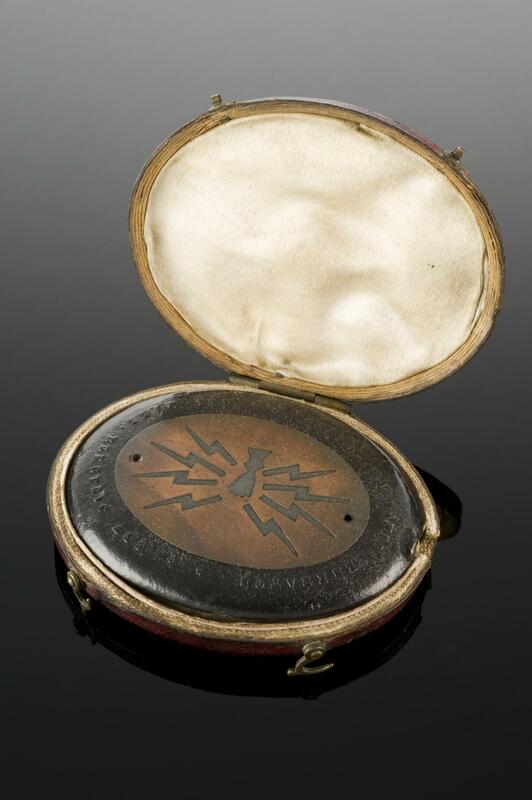 Brooches and jewellery such as this were widely available to treat nervous complaints and rheumatism, and were perhaps used in a similar way to copper bracelets, relieving the pain of rheumatoid arthritis.